Boeing and Jet Airways celebrated the delivery of the airline's first 737 MAX aeroplane, earlier this week. 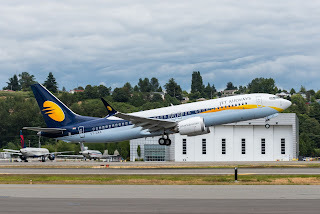 Jet Airways will be first Indian carrier to fly the 737 Max aeroplane, "The new 737 MAX is a critical element to our future growth strategy and we are proud to become the first airline in India to introduce this brand new aeroplane to our customers," said Naresh Goyal, Chairman of Jet Airways. "The 737 has been the backbone of our dynamic fleet for many years and we are excited to leverage the superior capabilities of the new 737 MAX. 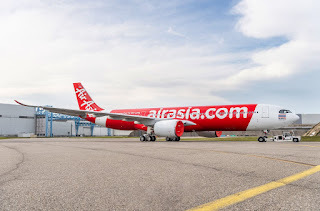 The improved economics and efficiency as well as the passenger pleasing features of the MAX will enable us to strengthen our position as India's premier airline."